Bringing the living dead into stark reality, this anthology reveals the best of undead horror and monstrous zombie tales. 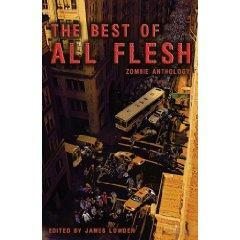 Culled from the popular All Flesh Must Be Eaten zombie anthology series, this broad collection of stories proves that no place in the world is safe when the dead rise again. Their shambling hordes flood cities, scour the countryside, and leave no part of history untouched. Ideal for fans of supernatural terror and apocalyptic fiction, this horrific array includes narratives by Tobias Buckell, Scott Edelman, Charles Coleman Finlay, and Tom Piccirilli.